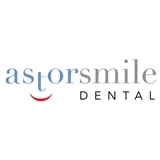 Astor Smile Dental PLLC (New York) - Book Appointment Online! Please visit astorsmiledental.com and facebook.com/astorsmiledental for more information. Thank you. Dr. Jo is very friendly, knowledgeable, and honest. I would definitely recommend her to others.